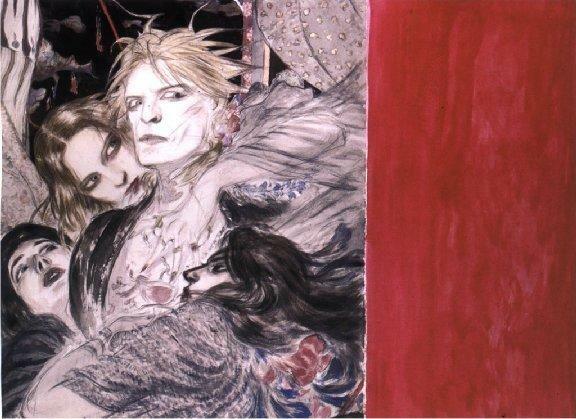 The passing of rock legend David Bowie has tapped into the emotions of his worldwide fanbase and even beyond. 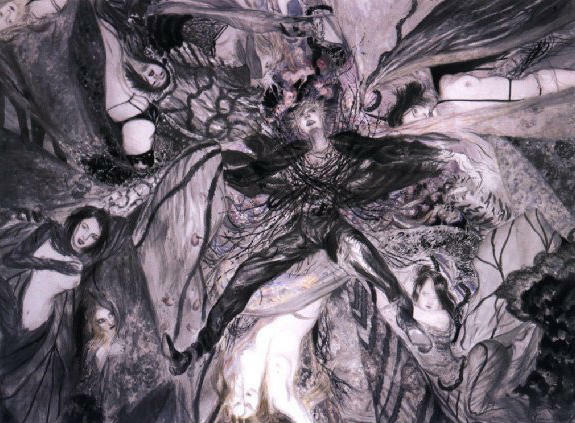 Bowie was a figure who touched the lives of many demographics, encouraging millions to explore and express themselves freely. 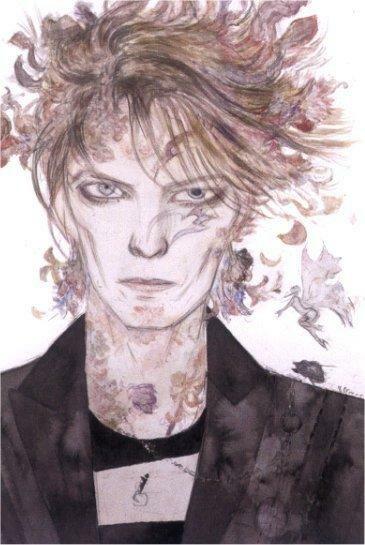 Japan was not alien to Bowie’s reach either, where the icon enjoyed just as much fame as the rest of the world. 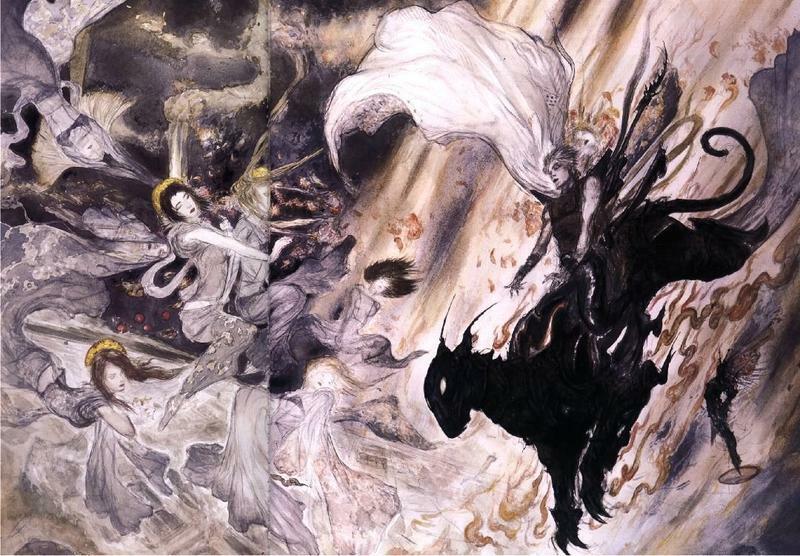 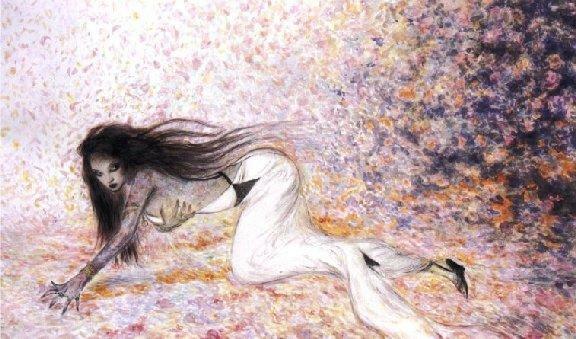 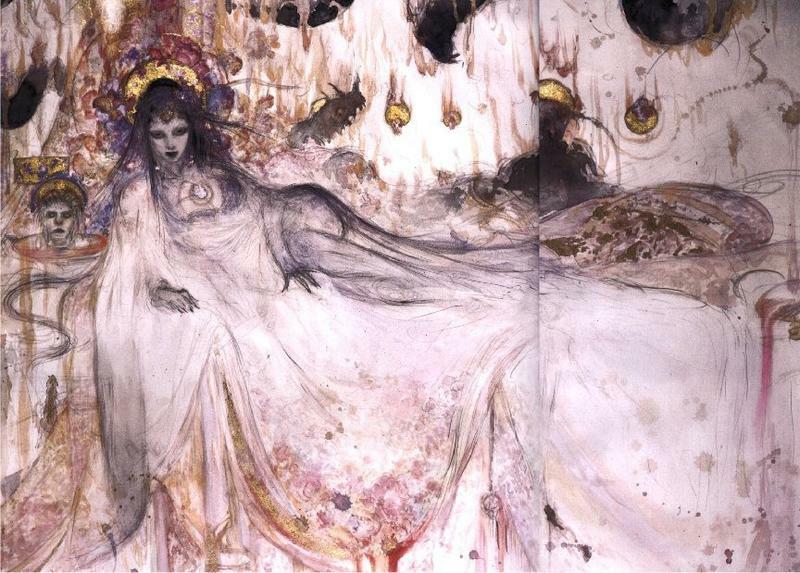 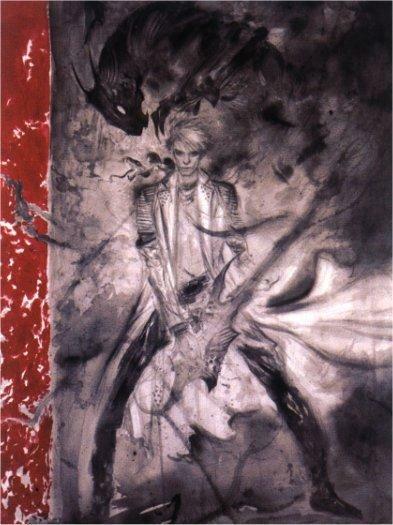 His unique image especially touched legendary Final Fantasy artist Yoshitaka Amano, a member of Bowie’s generation, and one wouldn’t be mistaken if they believed Bowie could naturally fit into Amano’s unique style of painting. 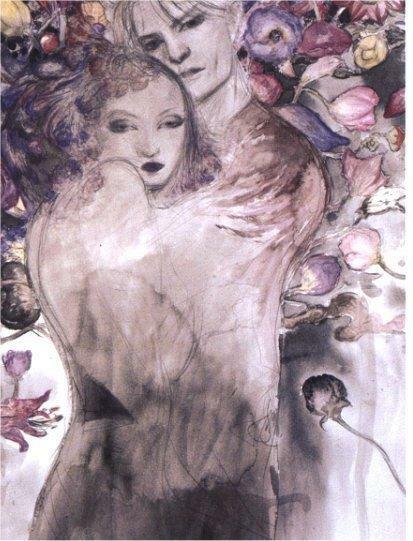 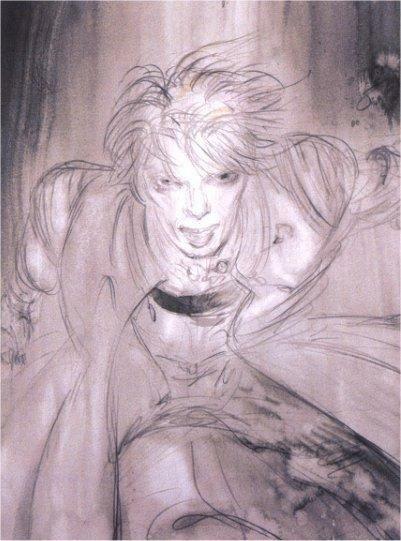 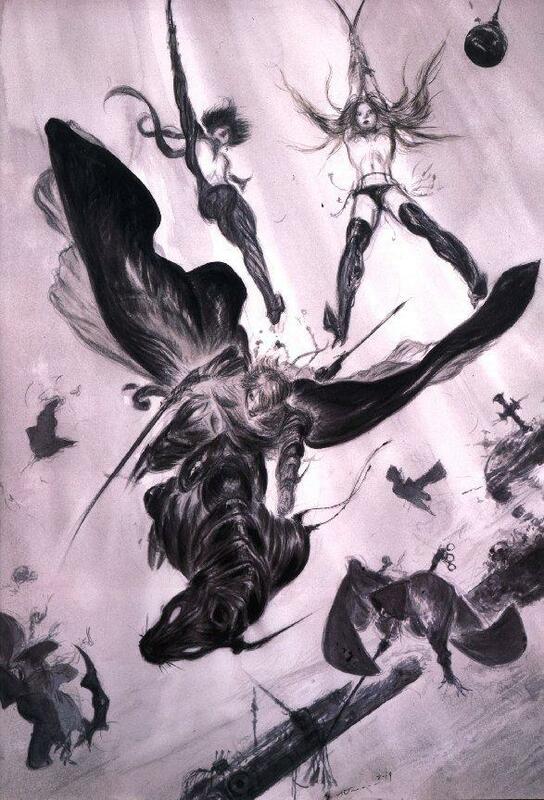 And indeed, a decade and a half ago, Amano used Bowie as an inspiration for a series of paintings he called “Return of The Thin White Duke.” The fit is uncanny and is evidence as to far Bowie’s influence on the world really extended.